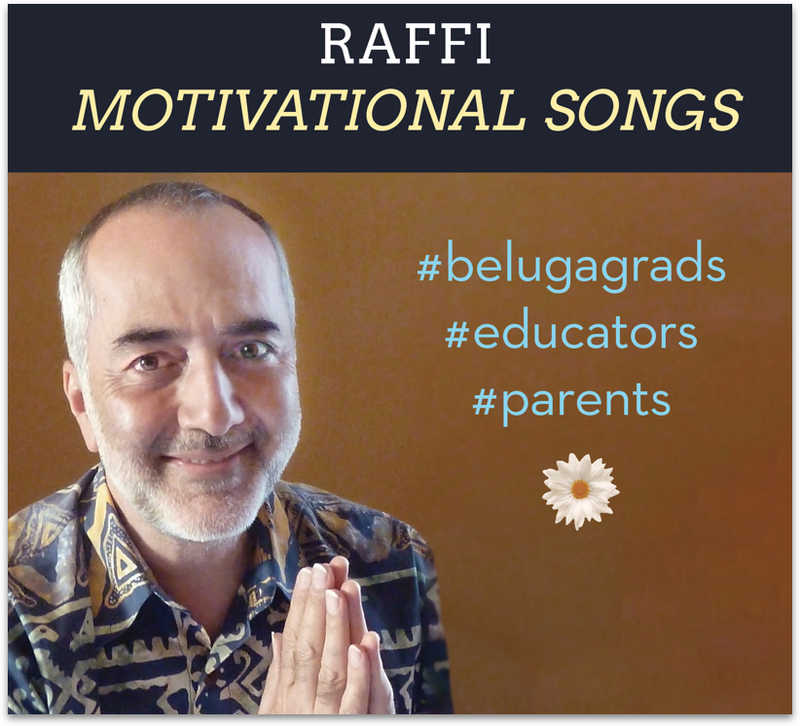 Child Honouring is a global movement, with many Raffi songs to express its diverse themes and principles. They have been posted on websites, aired on radio, featured in videos, played within online interviews such as Democracy Now and during lectures and public meetings by the likes of Charles Pascal, David Korten, and Elizabeth May. Raffi uses his award-winning skills to write, record and produce music—in a genre he calls “hip hope”—to help sing a new paradigm into being. 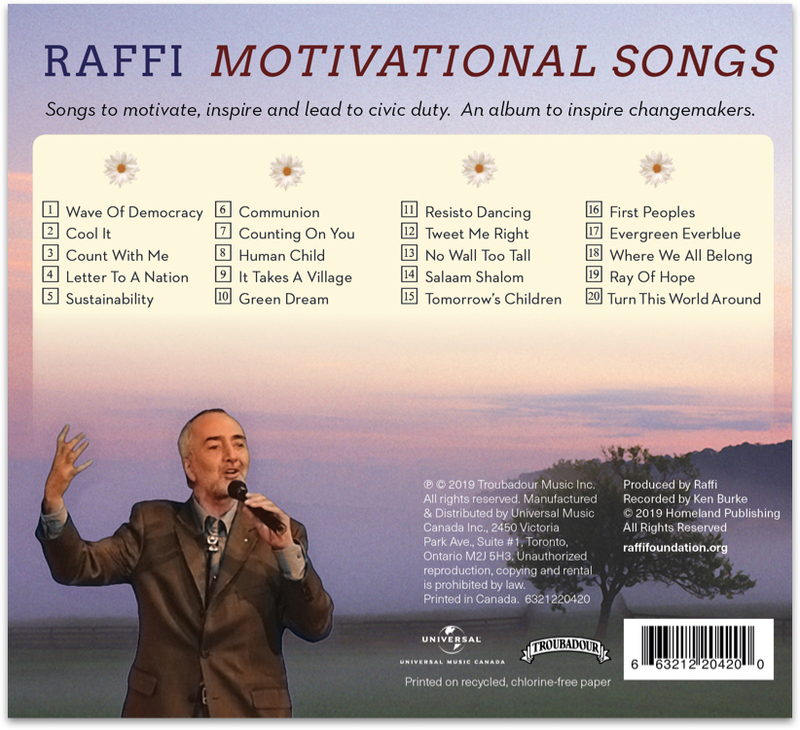 Raffi has included this music in keynote appearances at conferences on education, health, peace, social justice, human rights and sustainability. This album, Motivational Songs, is a collection that spans 1991-2017. On this page, you may stream the entire album, or stream individual songs that have links for sharing. Every movement needs music. Share these songs with all you know, play them in lectures, and use them as anthems if you like.